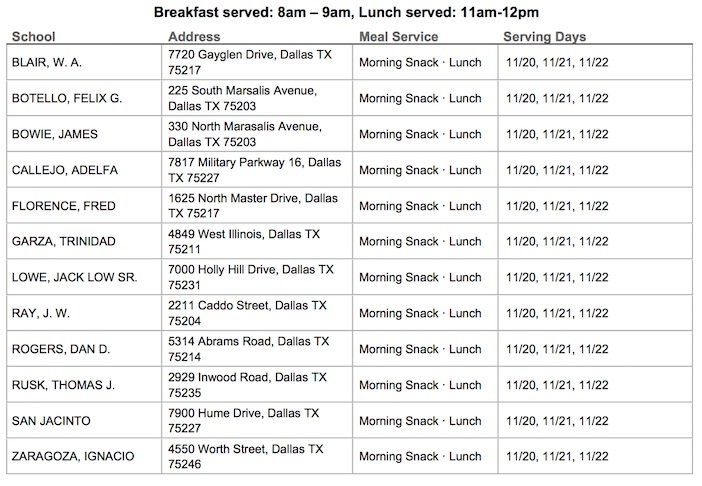 Dallas ISD’s Food and Child Nutrition Services Department will offer students 18 years and under (or special needs students up to age 21), free meals during the Thanksgiving break, from Monday, Nov. 20, through Wednesday, Nov 22. The program aims at providing students nutritious meals even during their vacation. Here is a map showing the participating schools. These participating schools will be serving breakfast from 8 a.m. to 9 a.m. and lunch from 11 a.m. to noon. 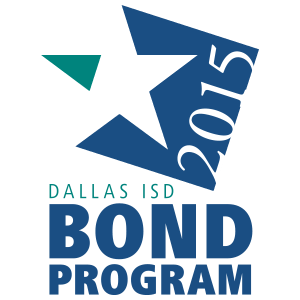 You can also see the list of participating schools below, or visit www.dallasisd.org/fcns.